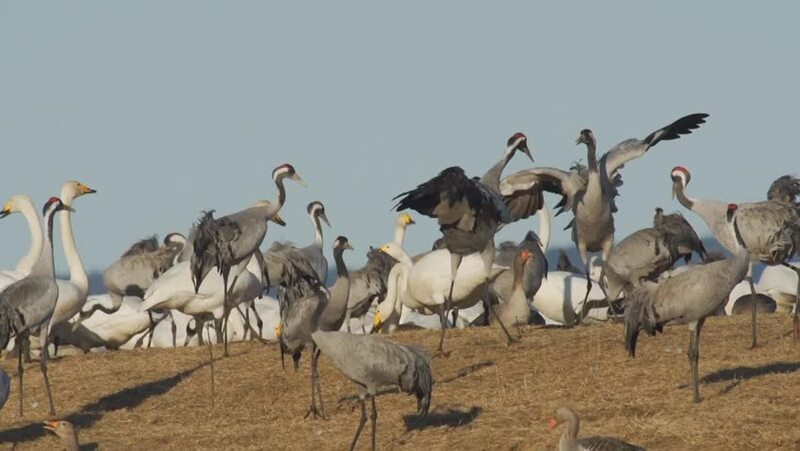 hd01:00Common Cranes Grus grus in Gallocanta, Zaragoza. Spain. hd00:12Herd of Arabian oryx, an endangered large antelope species, in the desert near Al Qudra in Dubai in the United Arab Emirates in Arabia.